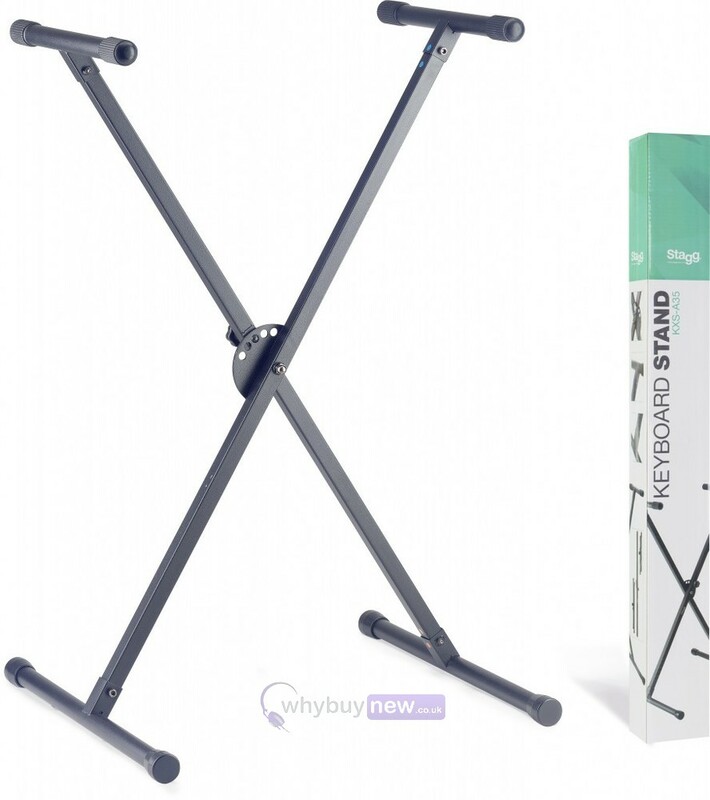 The Stagg KXS-A35 is a single X-frame style keyboard stand which is quick and easy to setup and foldaway. 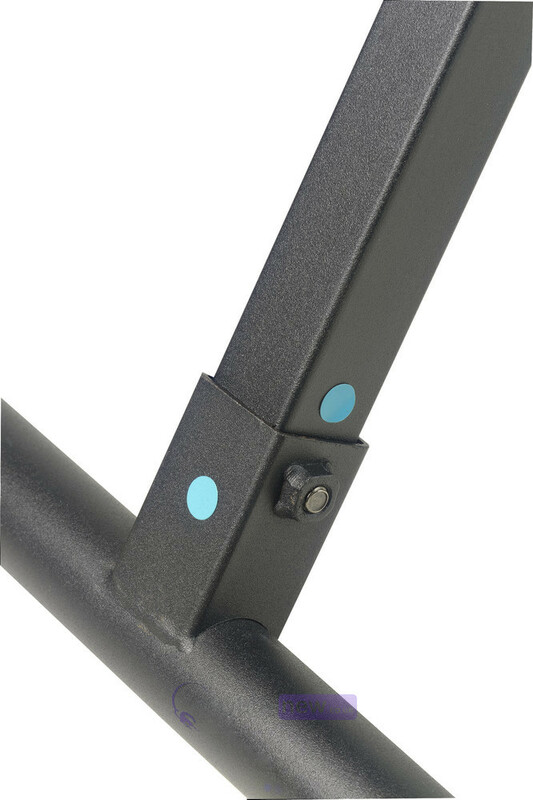 The stand is made of steel and features 5 different positions and a safety locking pin. 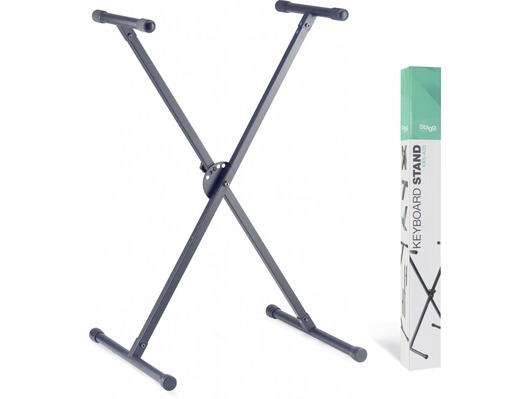 The maximum load capacity for this keyboard stand is 30kg and the maximum height adjustment is 95cm. 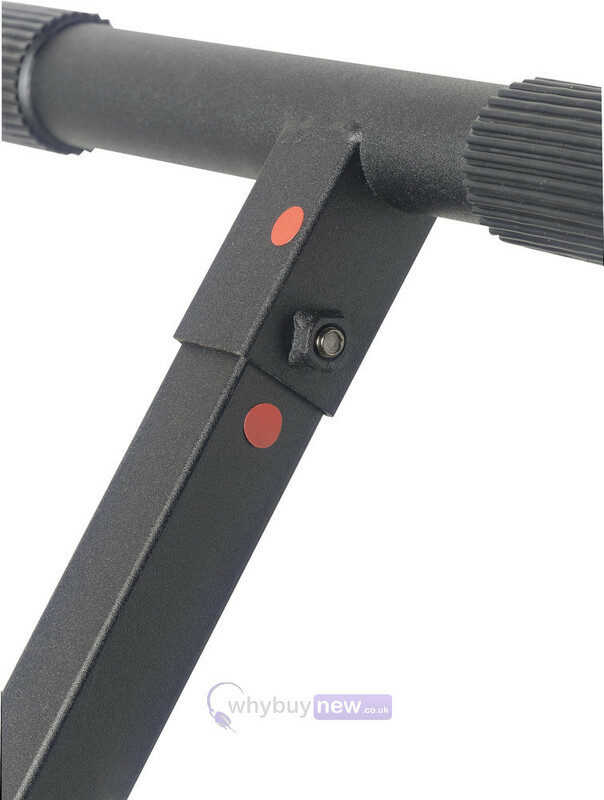 Came so quickly and the cheapest keyboard stand I could find on the internet. 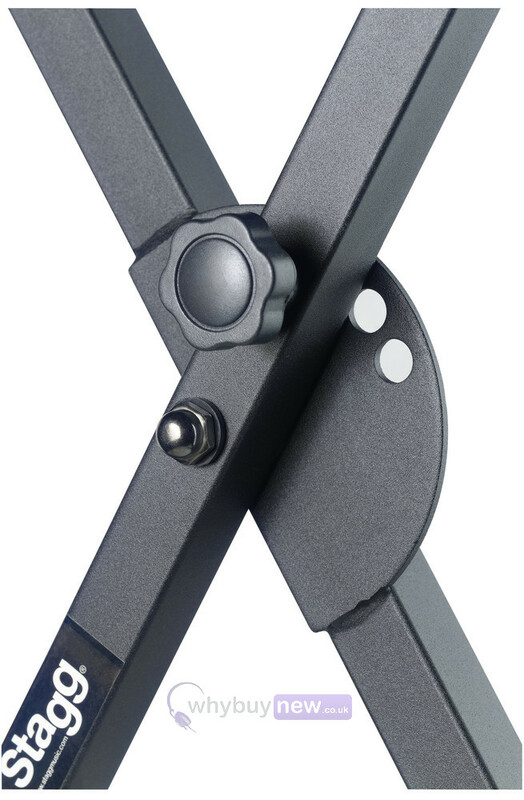 Highly recommended!